Practice Handstands, L-Sits, Pushups, Lolasana & Upper Body Strength Exercises. YOGABODY® Birch Wood Parallettes (set of 2) | Beautiful, Smooth, Anti-Slip Yoga & Gymnastic Training Tool for L-Sits, Lolasana, Handstand Pushups, Jump Backs & More. Build Grip & Upper Body Strength: stabilize your wrists, shoulders, and elbows. 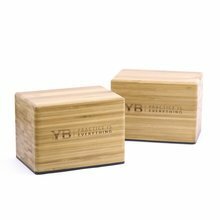 Birch Wood Parallettes YOGABODY® (set of 2) | Beautiful, Smooth, Anti-Slip Yoga & Gymnastic has been added successfully to your wishlist. Practice Handstands, L-Sits, Pushups, Lolasana & Upper Body Strength Exercises. 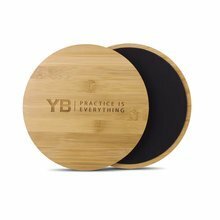 YOGABODY® Birch Wood Parallettes (set of 2) | Beautiful, Smooth, Anti-Slip Yoga & Gymnastic Training Tool for L-Sits, Lolasana, Handstand Pushups, Jump Backs & More. Build Grip & Upper Body Strength: stabilize your wrists, shoulders, and elbows. Beautiful & Great Hand Feel: Made of beautiful birch wood, polished smooth and strong. Non-slip: Industrial-grade, non-slip rubber bottoms keep your safe in all poses including inversions. Specs: 3 inch (13.5 cm) height x 15 inch (38 cm) long. Bar is 1.5 in (38 mm) diameter. Rubber base 0.016 inch (0.4 mm) thick. Weight per 2-pack: 5 lbs. Durable: All YOGABODY® products are backed by product and service 10-year warranty so you can shop with confidence. Includes: 2 parallettes with full parts warranty.